Looking to get some serious city-building in? This weekend only, you can play Cities: Skylines for free on PC via Steam. That means you can take to Cities: Skylines and have a blast building up your own city to your liking. It's a modern twist on games like Sim City, where you can construct an urban area of your choice from the ground up. You can make roads twist around and intertwine whenever you'd like, choose where your residents will live, where the police stations, electric companies, and fire stations will go - just about everything. Just be smart about placement, because you don't want to cause a traffic jam. Your citizens wouldn't like that very much. 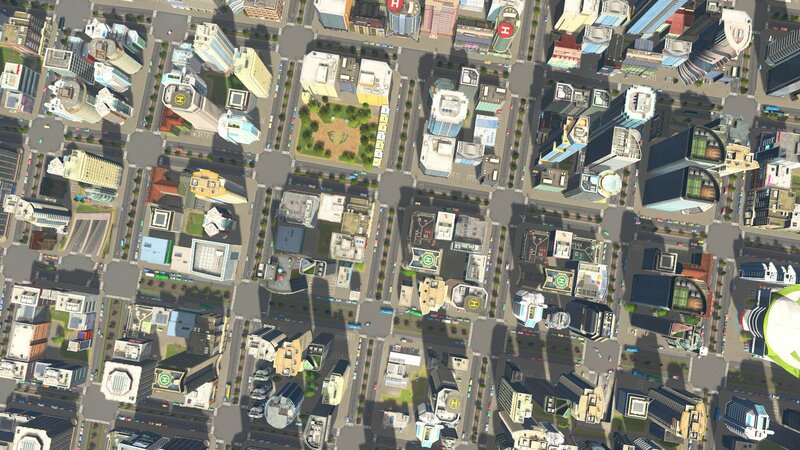 "Cities: Skylines is a modern take on the classic city simulation. The game introduces new game play elements to realize the thrill and hardships of creating and maintaining a real city whilst expanding on some well-established tropes of the city building experience. From the makers of the Cities in Motion franchise, the game boasts a fully realized transport system. It also includes the ability to mod the game to suit your play style as a fine counter balance to the layered and challenging simulation. You’re only limited by your imagination, so take control and reach for the sky!" If you finish up the free weekend and decide that you really liked what you played, you can also nab the Cities: Skylines New Player Bundle right now for 67% off at $19.32. It comes with Cities: Skylines and special expansion packs like Snowfall and Natural Disasters to spice things up even further. There's a lot to explore, so give the game a spin and see if it doesn't strike your fancy while it's free all weekend. Sounds like a good way to relax and unwind to us!